As a professional organizer and senior move manager, probably the most consistent area I've witnessed in need of organization is photographs. Most people just roll their eyes and groan when I ask them about how they handle photographs and other memorabilia. If you're reading this and are one of those people, this newsletter is for you. Hopefully it will be just the catalyst you need to finally make a plan to do something about your photographs. If photo organizing is one of your goals, make sure that it has a specific timeframe attached to it or it's just wishing thinking. Escape the heat outdoors and involve your kids, friends, or your professional organizer to make an overwhelming job manageable and fun. I had six large boxes of disorganized photographs of family, friends, and our many trips that I wanted to enjoy, but knew I would never find the time or motivation to do this on my own. I was overwhelmed and knew I needed help so I hired Real Order to help make sense of it all. The cardboard boxes are gone and my favorite photos are organized and labeled by category so I can quickly find them. Both of my sons now have many photos of their years growing up to share with their own families. I even have a special closet in my home for my photographic memories and had shelves installed at the proper height to accommodate my many pictures. I couldn't be happier with the end result! Do you have photos spilling out of shoeboxes, cluttering up closets, or crumbling in the attic? Now is the perfect time to get your collection under control with the following simple process. Recognize that it will take some time - especially if you have decades' worth of photos to organize - but with regular maintenance, your collection will offer a lifetime of enjoyment for you and your family. Please note that this article details the first steps to take before tackling any scrapbooking project, but scrapbooking need not be the end result. Creating albums is not for everyone, as it can be time-consuming, expensive, and even frustrating. So just try the easy organizing process listed below and see what happens! Think of the goal. Before you begin, recognize why you are starting this process. Perhaps it's to preserve and share memories. Or maybe you just want to eliminate those scattered piles of photos and negatives once and for all. Whatever your reasons, keep them in mind throughout the organization process. Gather photos in one place. The first step to creating an organized collection is to gather the photos all in one place. Check everywhere for hidden photos - attics, basements, files, closets, under the beds, and in current non-archival albums. Decide on a large, central work surface, such as the dining room table or an out-of-the-way floor. You'll want a space that will be undisturbed so you won't feel rushed to finish. Sort the photos. This is the part that will take the longest, but it goes quickly once you set up your system. The most common way to sort is chronologically. This works well for most people because our minds tend to think chronologically. As you sort through the photos, place them in labeled stacks, envelopes, or boxes by year. Once sorted by year, you can go one step further and sort again by month if you desire. If narrowing down to a specific year is difficult, try just sorting the photos into decades. If you're overwhelmed by the sorting process, start with the most recent ones first and save the older ones for later. Another way to sort is by broad category or theme. For example, you might sort by events such as vacations, holidays, or weddings, or by family members or sides of the family. If you run across photos that stump you, pop them in a "mystery photo" box for later research at family reunions. Just like any organizing project, it's important to group similar objects together so you can really see what and how much you have. Once the sorting process is complete, see if you have duplicates you can toss or share with someone else. If you have 25 photos of your son's third birthday, perhaps you can share some with the grand-parents, or enlarge and frame your favorites. And remember, it's okay to toss any photos that are out of focus, dark, off-center, or that you just don't like. Make this process as fun as possible, inviting family or friends over to help. Play some music, have some snacks (just be sure to always wash your hands before handling photos), and stop when you get tired or bored. Set a regular schedule to work on the sorting process so you don't lose steam. Store them properly. You've made the time investment to sort your photos. Now make sure they're preserved for generations to come by using archival-quality storage materials. Some types of storage include photo storage boxes, accordion file boxes, 3-ring binders filled with photo sheets, and heavy-duty plastic (poly) envelopes. Your local office supply or scrapbooking store will have a variety to choose from. Whatever you choose, look for products that are acid-free, archival, lignin-free, and PVC-free. Store the photos away from light, heat, and humidity. (Basements and attics are no-nos.) Now your photos are ready for scrapbooking, or simply to enjoy as is! Maintain the system. As new photos enter your home, be sure to sort and store them according to your new system. Online photo sites let you store and share digital photos, as well as order prints and create greeing cards, photo books, gifts and more. Accounts are typically free - you pay just for photos and other items purchased, often as significant savings. It's easy to place photo prints in a simple sleeve album or even easier to just leave them on your computer in a digital slide show. But there is something different about scrapbooks. They are a tangible way to honor your photos and organize your special memories in a beautiful way. With a scrapbook you can pick out the best photos, the ones you will want to look at again and again. Then you choose all the elements that will complement the photo, making it stand out and perhaps enhancing the meaning or message. 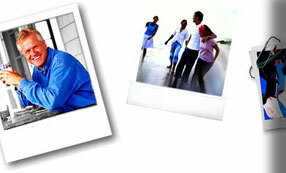 Most importantly, scrapbooking allows you to pair your personal stories with the images that represent them. Why go digital? Scrapbooking brings your memories alive and provides an outlet for creativity. You may have even tried the traditional paper-based hobby. Unfortunately, it can require substantial storage space and a bank account to match. While there are many tips and tricks for frugal scrapping, going digital is a simple solution. Supplies are all re-usable (eco-friendly alert!) and mess is non-existent. To top it all off, the digital route can offer so much more design flexibility than your scissors and glue. It even eliminates all those imperfect handwriting worries. While digital scrapbooking is for anyone, perfectionists will find it particularly appealing! Overwhelmed by all the family pictures? Pixorium, an Atlanta-based company, will scan your photos, slides, film negatives and VHS tapes, creating digital copies of important family memories on discs for your computer or TV. They can also make additional copies to give to family members to share the memories and for safekeeping. If you prefer, they can put your favorite photos on a flash drive (or multiple flash drives by category such as heirloom photos, vacations, holidays, etc.) so you can view them on a digital photo frame that matches your decor. Or you can delight someone special with a photo book that tells their story and shares their story with others. The possibilities are endless! Contact Pixorium at (404) 680-5341 for details on how to get started. Storing photographs, negatives and photo CDs doesn't have to mean large photo albums or the bottom desk drawer. Fun and functional storage boxes can be decorative addition to any room. No need to hide these decorative photo storage boxes from JoAnn and Touch of Europe. This Display Photo Box stores up to 500 photos with display space for six photos. A Large Photo Storage Box can store two 8 1/2 x 11 photo albums or large-format photos (up to 8x10). CD Storage Boxes let you organize hundreds of photo CDs in a small space. Check out these options from The Container Store or Snap-N-Store. To keep your photos organized inside storage boxes, check out these acid-free, lignin-free Photo Pockets.